1 An anti-government protester holds a national flag in front of a portrait of Thailand's Prime Minister Yingluck Shinawatra, during a rally, Bangkok, Jan. 29, 2014. 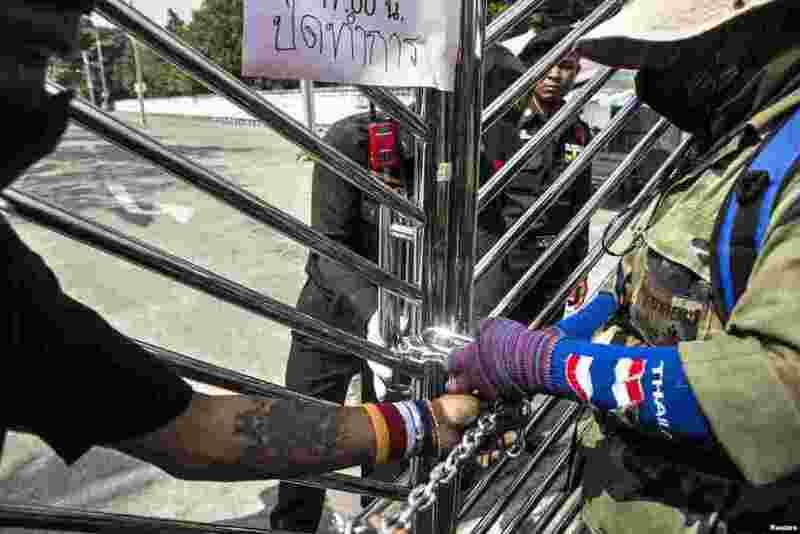 2 Anti-government protesters chain the gate of an office for the Land Transportation Department in Nonthaburi province, on the outskirts of Bangkok, Jan. 29, 2014. 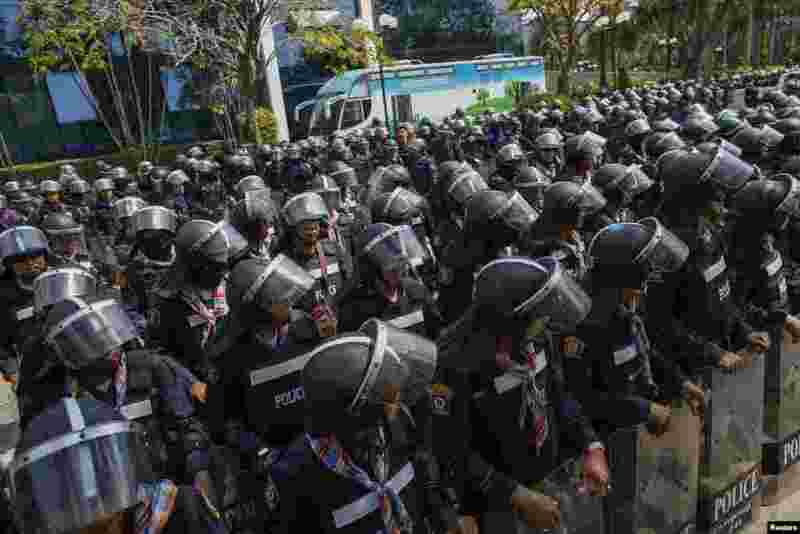 3 Riot police stand guard inside the compound of the Thai Royal Police Club in Bangkok, Jan. 29, 2014. 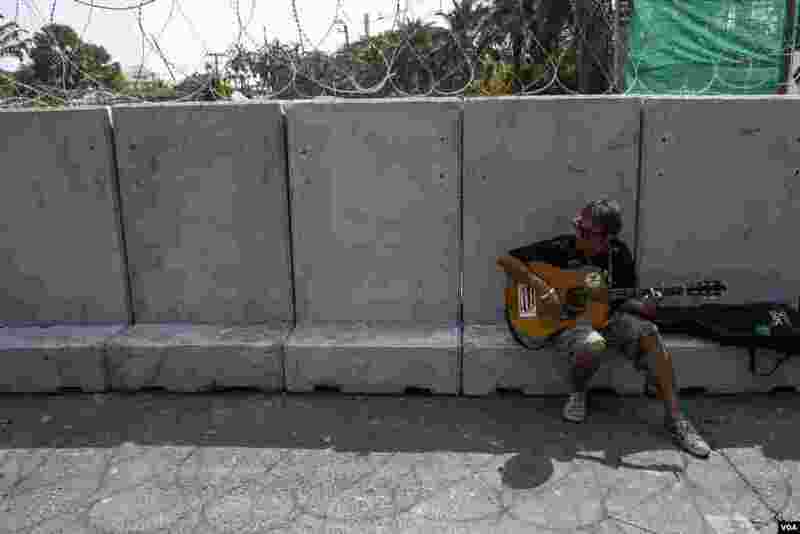 4 An anti-government protester plays a guitar near a barricade outside the compound of the Thai Royal Police Club in Bangkok, Jan. 29, 2014.